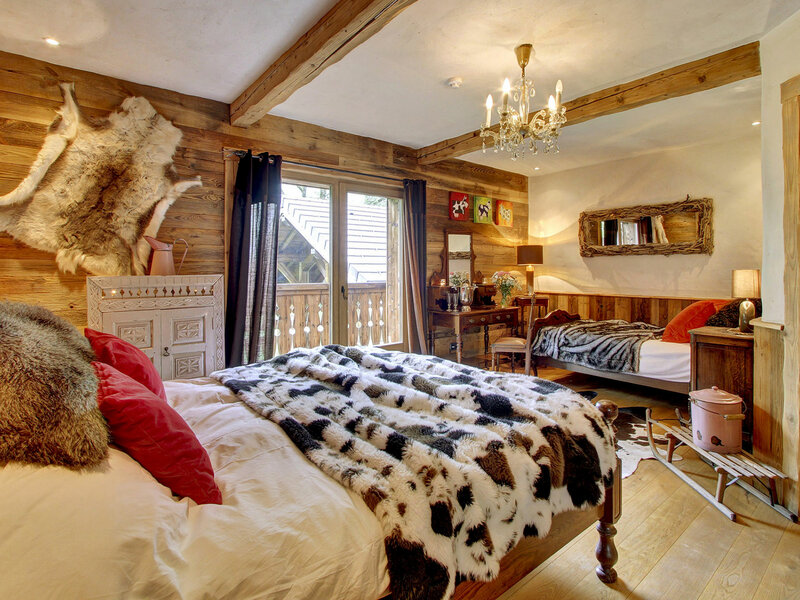 La Ferme Du Lac Vert is a luxury boutique ski chalet in Morzine, the heart of the Portes Du Soleil. 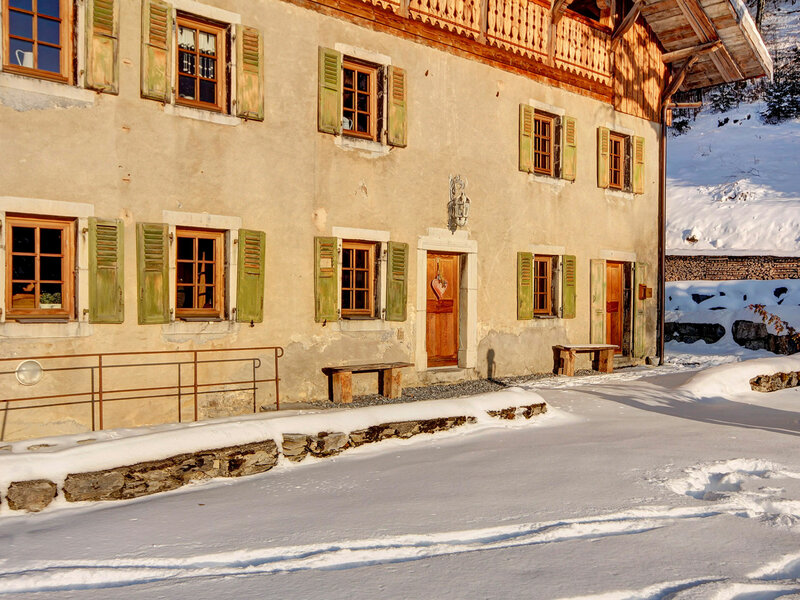 A fabulously refurbished old Savoyard farmhouse built in 1842, lavishly restored in 2010 and situated in the charming hamlet of Montriond. 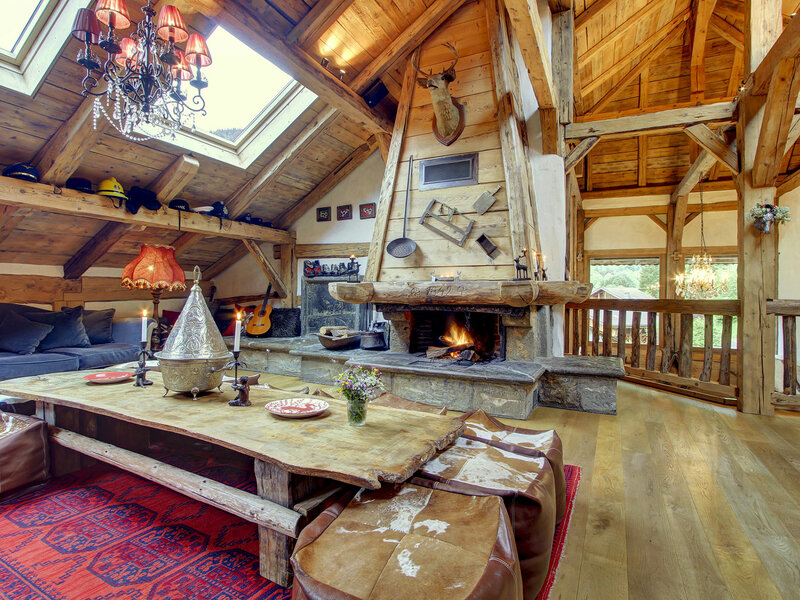 Holidays at La Ferme du Lac Vert are truly unique. We tailor your booking to meet all your personal requirements. 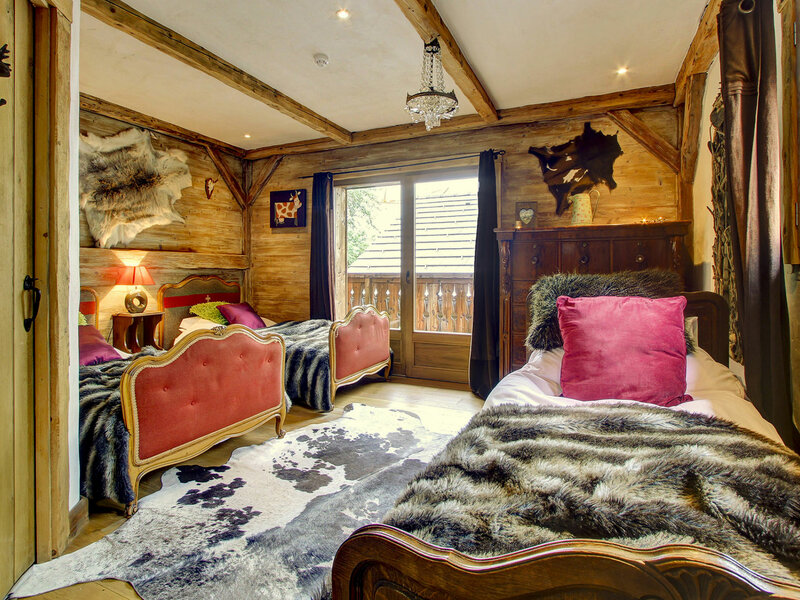 La Ferme du Lac Vert is a fabulously refurbished old Savoyard farmhouse built in 1842 in the charming hamlet of Montriond on the edge of Morzine in the Portes du Soleil. The interiors are gorgeous – think cow skin rugs, dark antique furniture, squishy sofas, Moroccan lamps – and the food and wine is excellent. 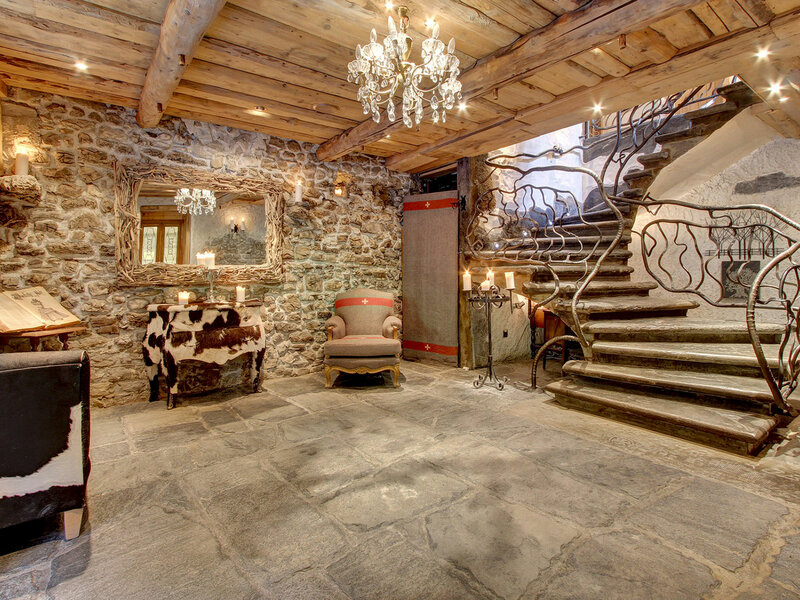 Running through the centre of La Ferme is a two-storey glass atrium with stunning views of the mountains and a magnificent artisan stone & iron staircase. 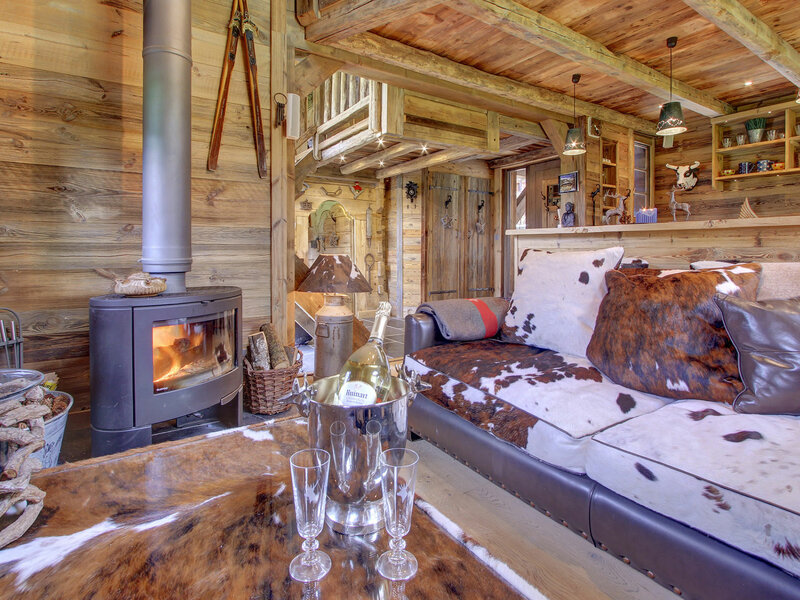 We have a huge Savoyard open fire; perfect for warming the vin chaud! A glass internal balcony stretches the entire width of the building. 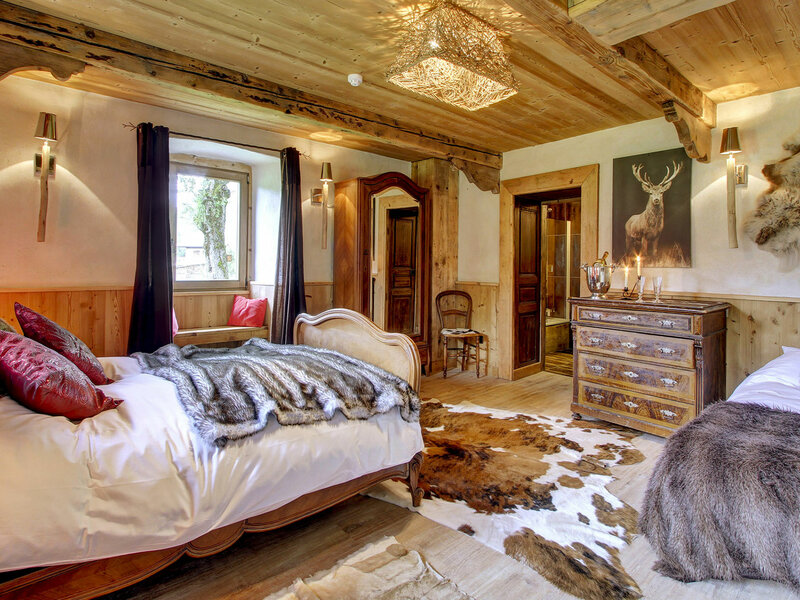 La Ferme du Lac Vert has 11 en-suite spacious bedrooms made up as doubles, twins and triples to suit your needs plus the adjoining 'La Petite Ferme' a delightful three en-suite bedroom mini Farmhouse! 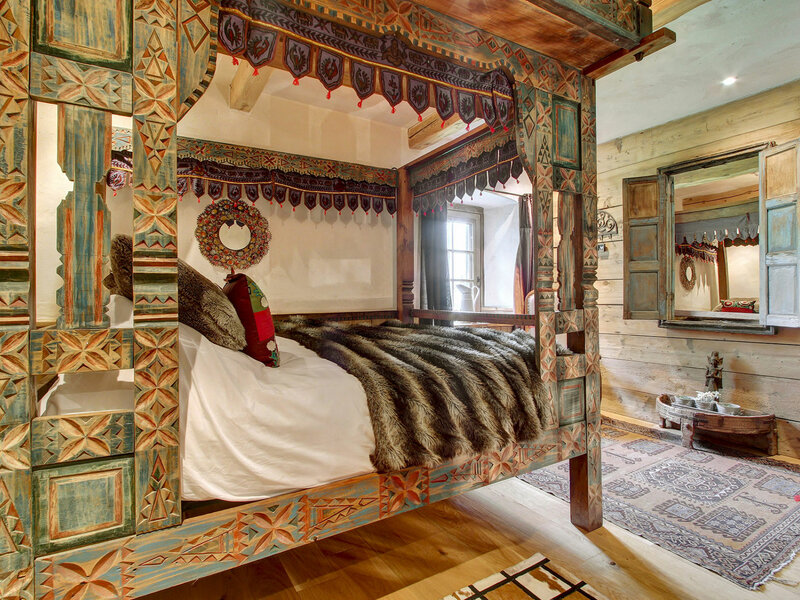 The bedrooms are exceptionally spacious and designed in a fusion of contemporary with antique styles. We provide complimentary Cowshed toiletries, hairdryers. bathrobes and slippers. You also have a choice of feather or hollow fibre duvets and pillows. 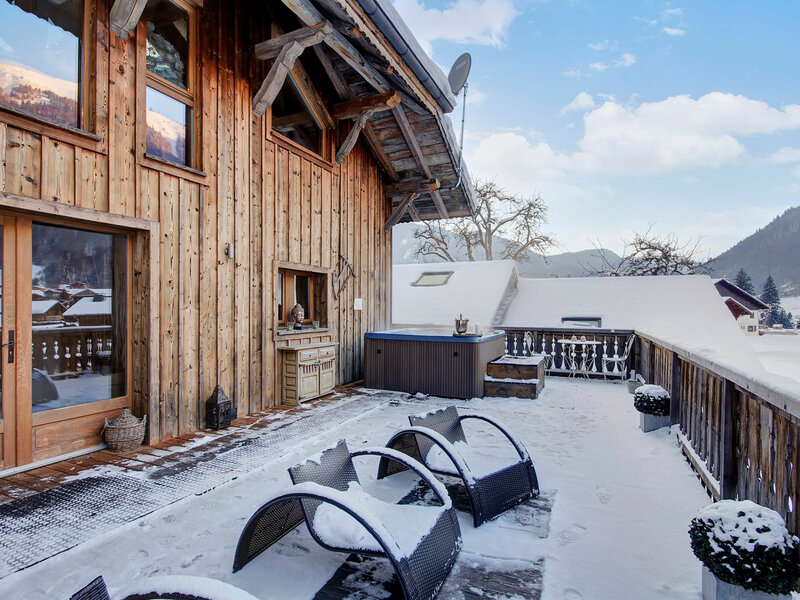 The architecture of the building provides stunning views of the surrounding mountains whilst the spatial and interior design offers luxurious comfort. Our winter rates include a cooked breakfast menu, afternoon tea, pre-dinner cocktail & canapés, 3 course sumptuous meal with complimentary house wine, followed by coffee & cheese board by the fire. 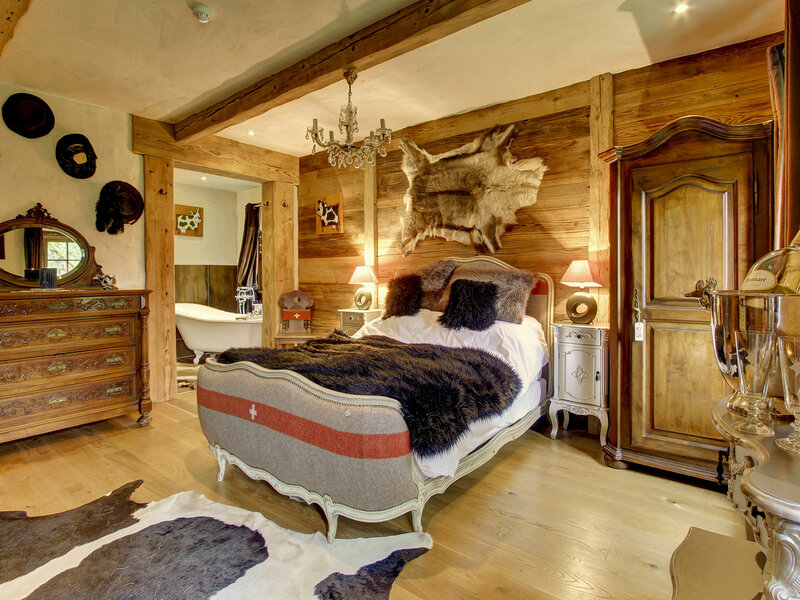 Our resident ski concierge will help you navigate around the most beautiful parts of the Portes du Soleil. 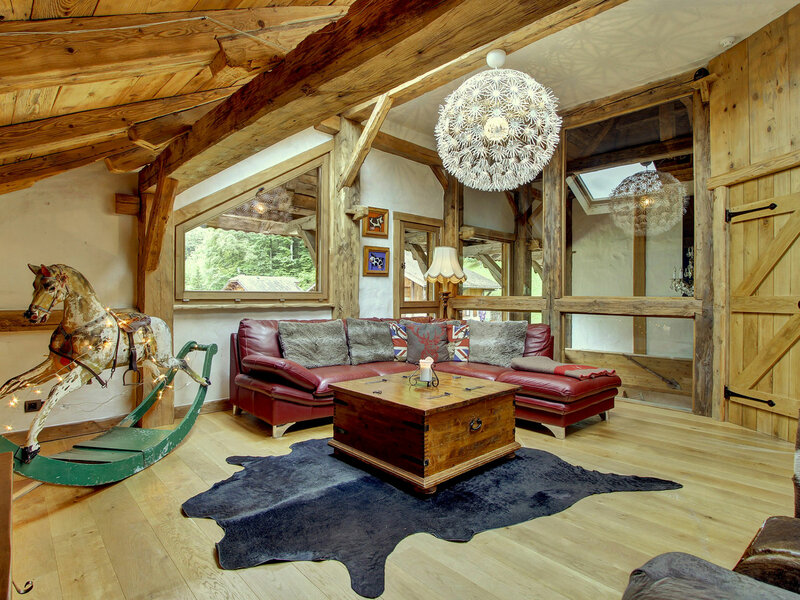 Our ground floor apartment is incorporated into La Ferme but offers the option of a private space for your party within the main chalet. Three bedrooms and the benefits of a large sitting room with dining table, leather sofas and UK satellite TV and WIFI. In the Spring, Summer and Autumn rooms can be booked for bed & breakfast, half or full board; we're totally flexible! Relaxing hot tub on our large elevated terrace; sit back and let the bubbles sooth those aching muscles whilst soaking in the views of Nantaux mountain; bliss. We provide complimentary CowShed toiletries including Cowlick Gentle Shampoo, Saucy Cow Conditioner, Knackered Cow Bath & Shower Gel and Body lotion. We also have hairdryers, bathrobes and slippers for your comfort. Internal glass balcony with stunning vistas and a large hot tub! There is ample parking at the Ferme du Lac Vert. It is free of charge and for the exclusive use of our clients. 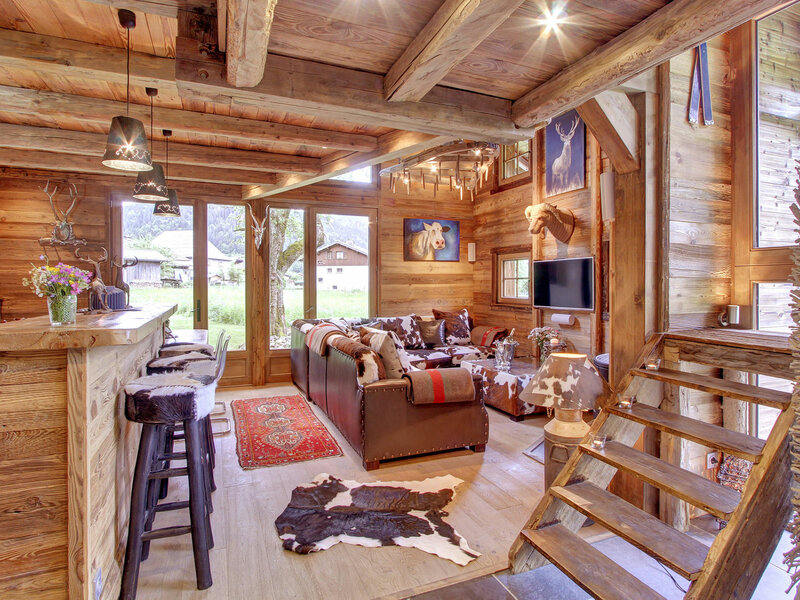 No house rules except no smoking in the chalet & no outdoor shoes! 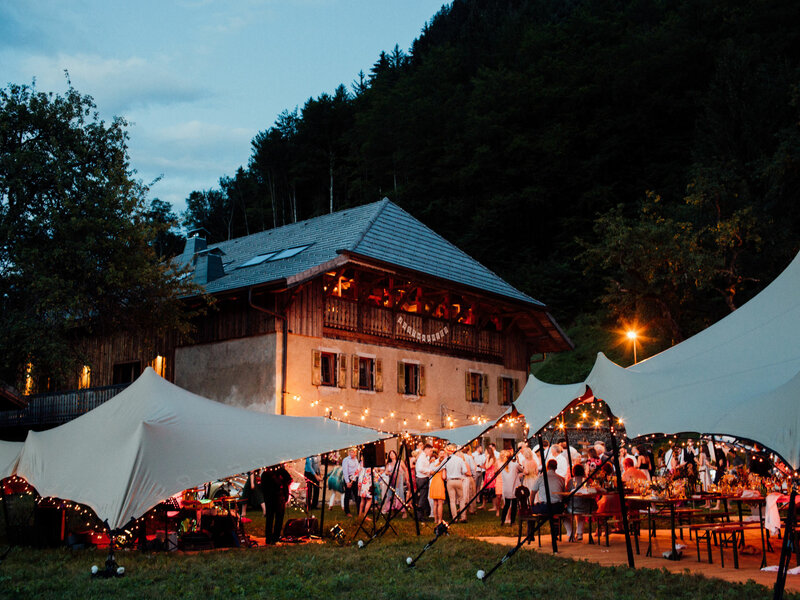 At La Ferme du Lac Vert we are passionate about food, wine and quality, locally sourced produce. 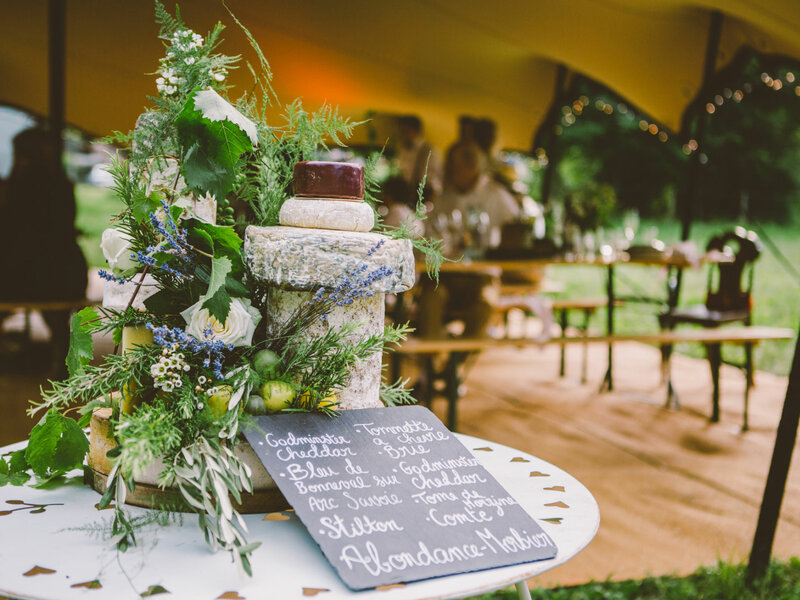 Our unrivalled catered chalet experience served in our stunning vaulted ‘Ancient Grange’ is like none other. Our Chefs will cater for any dietary requirements and prepare children’s meals at earlier times in the evening on request. Should you have a special occasion that you would like to celebrate during your stay let us know so we can help you mark the event. Our catered service includes a cooked breakfast menu, afternoon tea, canapés served with a complimentary aperitif of your choosing (including fantastic cocktails!) followed by a four course meal served with plenty of house wine. One day per week (and during summer months) we provide a continental breakfast, afternoon tea and provide a shuttle service to a restaurant of your choosing. After your cooked breakfast menu in the morning, we provide a complimentary shuttle service to the high speed gondola only a five minute drive away giving you direct access to 650km of piste! We have a fleet of three luxury 4WD vehicles and a mini bus on hand to ensure guests get to the slopes on time and together. 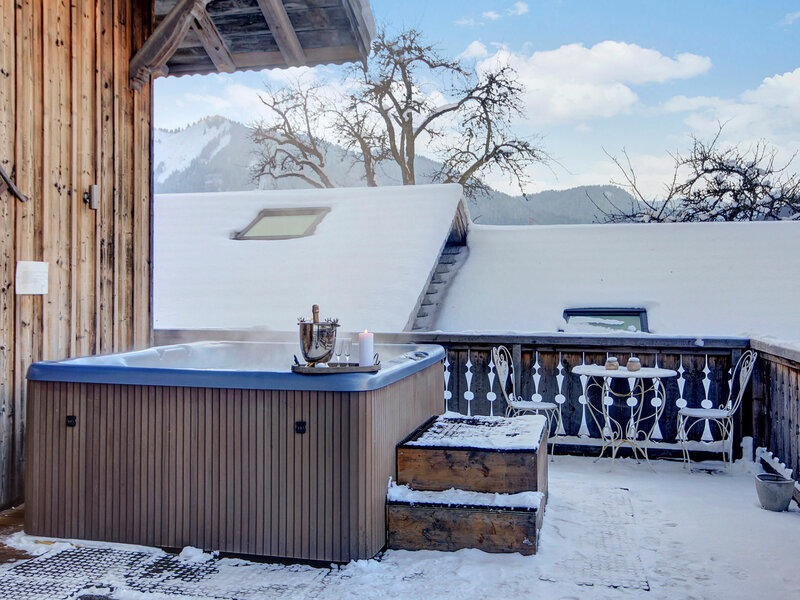 Afternoon tea and a steaming out door hot tub will await you once we have chauffeured you back to the chalet and you can relax before we serve canapés and a complimentary pre-dinner cocktail in the evening. Our qualified AA Rosette Chefs will cater for all requirements and serve you a four-course meal including house wines, exceeding expectations and unlike any other catered chalet experience you may have had. It is Chefs day off on a Wednesday, a continental style breakfast is served and we can recommend and make an evening reservation for you in a local restaurant. 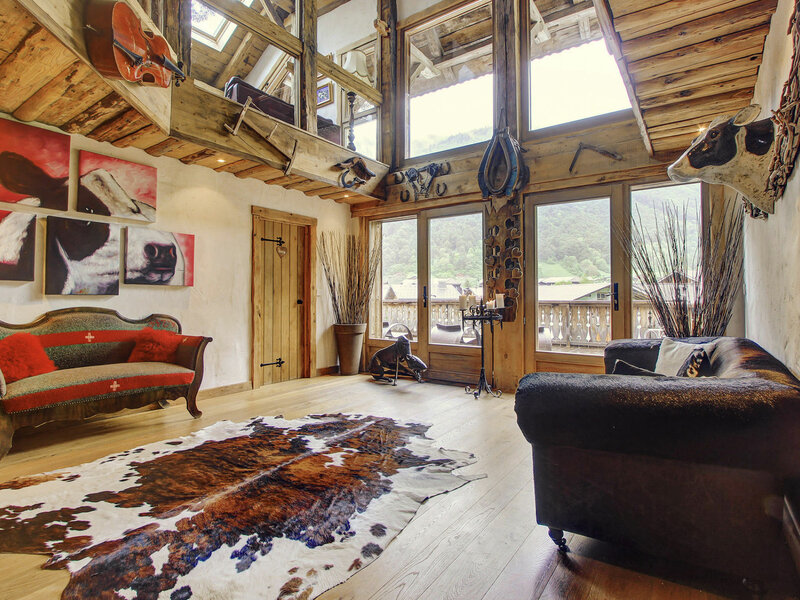 The Farm is situated in a quiet lane - metres away from the shops & bars in Montriond. We have transport that will take you into Morzine (5 mins drive) or 20 mins walk if you so wish. The Ardent bowl is 5 mins drive - from the high speed bubble you are straight into the heart of the ski area - no mucking about on chair lifts that take 40 mins to reach the same destination from Morzine! If you wish to ski the Les Gets side then we can whisk you into Morzine in 5 mins to do so. Morzine is a commune in the Haute-Savoie department of the Rhone-Alpes region in eastern France in the heart of the world famous Portes du Soleil offering easy access to the whole area. Morzine has an authentic Savoyard charm and dates back to the 16th century and has been a ski resort since before World War l. The Portes du Soleil and Morzine offer a fabulous winter sports holiday for beginners, intermediates, experts of all ages and all snow sports disciplines. If you ski, snowboard, telemark, cross country ski, randonnéee or snow shoe the area offers variety, new challenges, stunning scenery and warm hospitality for those who come here. The snow record is excellent as we are within the Mont Blanc weather system and this coupled with an advanced snowmaking system and the fact that the pistes are on pasture land not rocks ensures that there are fabulous pistes from early December right through to the end of April.With the Portes du Soleil lift pass you get access to 650KM of groomed pistes including 41 green, 109 blue, 110 red, 28 black runs, 4 snow cross areas and 9 snow parks. 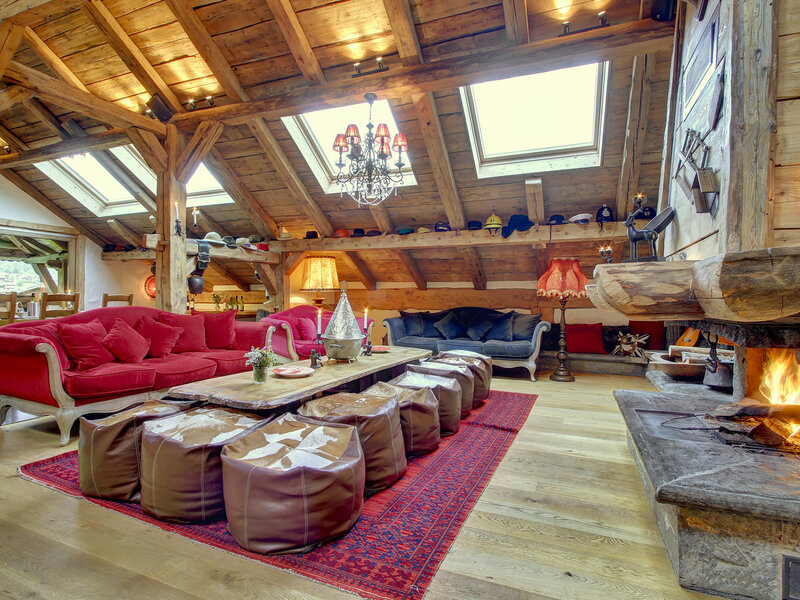 There are also plenty of activites for non-skiers such as Snow Shoeing, Skidoo and Husky rides, Ice Skating, Swimming in the new aquatic centre and Morzine has plenty of charming restaurants, cafes and shops.A bit more on the history of MorzineWealthy guests arrived to spend the winter at the comfortable Grand Hotel. The first cable-car was installed in 1934. In 1960 the ski industry developed after the success of Jean Vuarnet who won a gold medal for downhill in the VIII Winter Olympics in Squaw Valley. 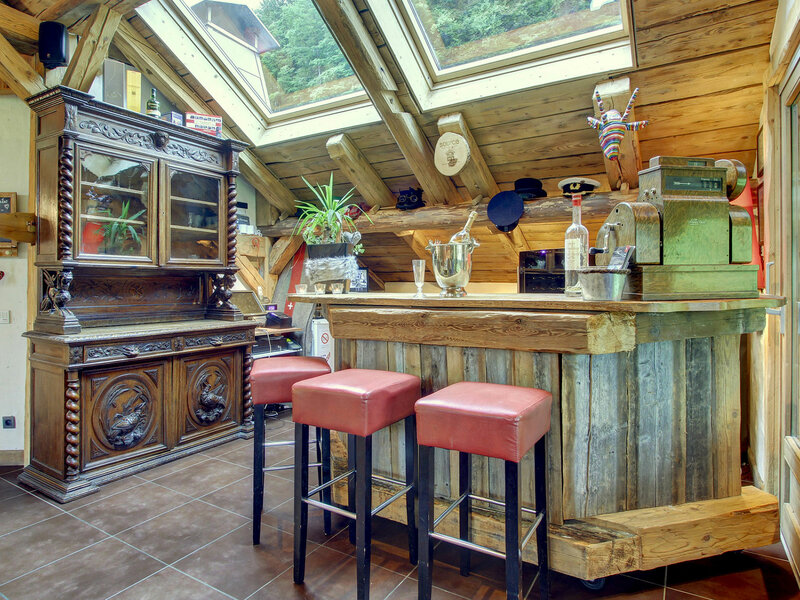 He started the development of Avoriaz on the cliff top above the town and linking this purpose built village to Morzine and other resorts in the region, both in France and Switzerland. The first link was built in 1968 and the single lift pass for the Portes du Soleil was introduced in 1974. Before skiing, Morzine depended on slate mining, the first commercial mining being in 1734. 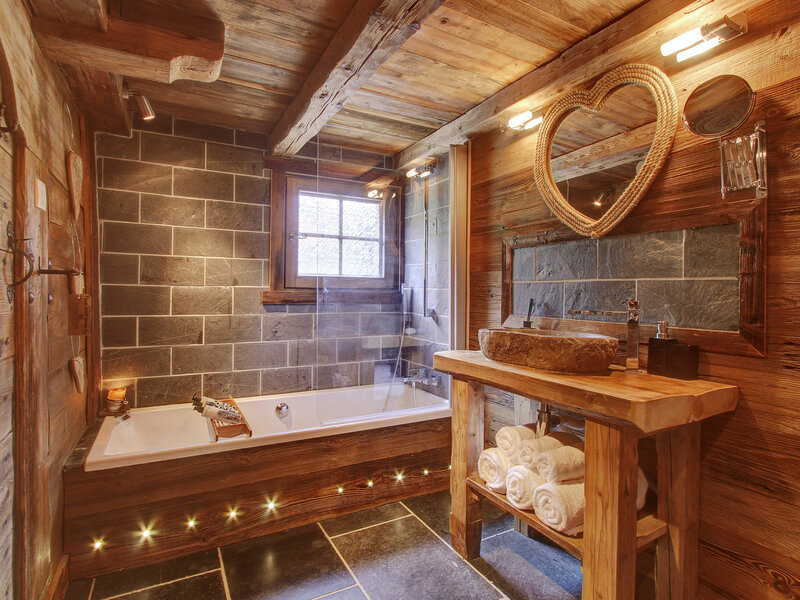 In the 1800's slate was split into sheets and formed tiles which provided significant employment in Morzine. The first slate quarry provided the material used to clad the church. Morzine slate is of high quality and beauty with its veined grey-blue hues. Slate mining still continues today. 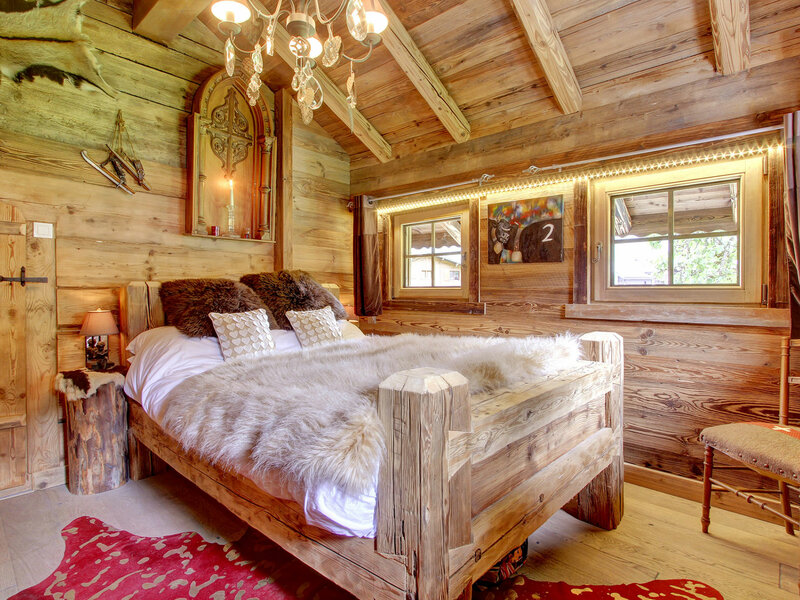 Get in touch at ski@skizeen.com for some very special offers! !